When you’re young and idealistic, many things in life can seem pretty black and white. But as one gets older, you learn that there are so many nuances and variations that in some cases, issues become muddled gray. After being in practice for 30 years, you would think I would be very good at predicting outcomes and telling people how much treatment they will need and so forth. However, just the opposite has happened. I can tell people what is somewhat typical, but every person, every case is so unique that it’s impossible to predict much of anything accurately. One thing I love about doing energy work is that we’re able to do muscle testing on people to find out more specifically what they need. Health itself is not black and white. I think it’s strange that many people think of themselves as either healthy or sick. If you’re not sick, you must be healthy, and vice versa. To me, health is a continuum. No one is 100% sick (we call that dead). No one is 100% healthy without a single flaw. So we’re always somewhere in between. There’s a balance between our tolerance level and the level of our health. Any time that the level of any health problem exceeds the level of our tolerance for it, we experience symptoms. If the health problem gets worse, or if the tolerance level drops (which can be due to fatigue, stress, etc. 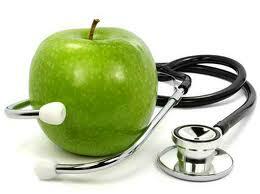 ), we become more aware of the health problem. While it is true that there are some rare deadly diseases for which our immune systems are not prepared, for the most part, illness doesn’t just suddenly occur because of exposure to bacteria or viruses. A truly healthy person won’t suddenly become ill because someone sneezed in their vicinity or they touched some horribly infected doorknob. I always say that when you get sick, you shouldn’t look around to see who shared their germs with you. You look in the mirror and ask yourself why your immune system was weakened. Generally you don’t have to strain your brain coming up with an answer for that one. Allergies are another area where we see a lot of gray. Many people, if they don’t have an allergy that makes them break out in hives or have their throat close up, think they don’t have allergies. I see an allergy as an incompatibility between the energy of the body and the energy of a substance. That incompatibility may be extreme or it may be minor or anything in between. For some people, it may be a food that they eat every day, which is weakening them, making them tired and more prone to illness, aches and pains. NAET (Nambudripad Allergy Elimination Technique) is a tool we use to help find and treat hidden allergies. When we’re doing energy work with people and using muscle testing, we can’t really ask about named diseases. The body (or subconscious mind) doesn’t think that way. It’s all about imbalances and interferences. Lab values and other types of measurements that are commonly used in healthcare can be very useful, but we have to remember that the numbers are simply values that we’ve agreed upon – a way for us to draw the line between needing medical treatment for a problem and not needing medical treatment. What’s just right for one person may not be the perfect value for another person. Besides, we need to remember that it’s a continuum. If a value is not where it should be, it doesn’t matter whether it’s crossed an imaginary line or not. It should be addressed (naturally if possible). Some people, when they get what they feel is a definitive diagnosis, are very relieved. They feel that it’s not so much of a mystery now, which gives them more of a feeling of control. I don’t want to rob anyone of the peace that they get from that, but often it’s just an illusion. The word diagnosis means to know what’s going on inside the body (dia=through, gnosis= to know). In many cases, it’s just a best guess. Even with lab tests, positive exam findings and classic symptomatology, how can we truly KNOW for certain what’s happening in the body? Muscle testing, done properly, can also be effective at getting to the root of the problem. Then there are those for whom a diagnosis is their downfall, especially when it comes out of the blue or destroys what little hope they were clinging to. I heard of a lady who got her test results back, and based on those results, the doctor gave her six months to live. Sure enough, six months later, she died. Later, they found out that the test results had gotten mixed up with someone else’s. She was fine. She simply died because she believed she would. I can’t say for sure if that’s an urban myth or a real event, but I’ve seen the principle in action many times. Some people get a diagnosis and they fully accept it as part of who they are. They play the part to the max and become far more of a victim of the disease (whether they actually have it or not) than they need to be. My father died of cancer. He was given the diagnosis of malignant brain cancer and was told that he would die in less than a year, which he did. I’ve often wondered if there was a little bit of a self-fulfilling prophecy there. Would he have lived longer if the doctors would have told him that there was a strong chance of pulling through and beating the cancer? I guess we’ll never know in this case. As much as we’d always like definite, well-understood answers to our health issues, there aren’t many cases when we have such absolute information. I’ve written previously about how complex our bodies are. It’s this complexity that makes it difficult to pin down exact answers. There is always hope however. We do have a lot of good information and we can use muscle testing to find out what imbalances people have to help them overcome health problems. I think the important thing to remember is that the body knows what it’s doing most of the time. It’s smarter than any doctor. Generally the best thing we can do is to remove interferences, give it the nutrients, exercise and so forth that it needs, then get out of the way and let it express good health and happiness. This entry was posted on June 20, 2014 at 5:46 pm and is filed under Chiropractic, Energy medicine, Uncategorized. You can follow any responses to this entry through the RSS 2.0 feed. You can leave a response, or trackback from your own site.